Nikoski: Seems to have gone so I'll get out and replace soon. 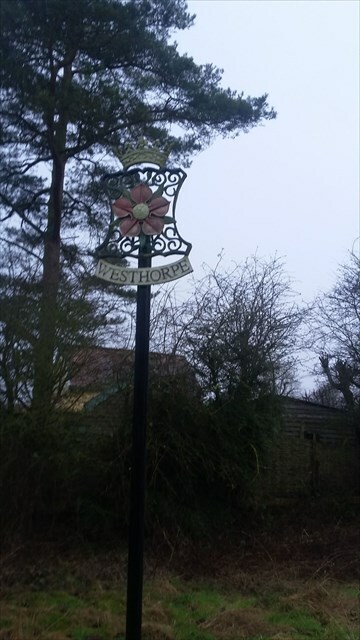 Another Village Sign which deserves a cache so people can come and see it. Westhorpe is a small village in Suffolk. Spread out along the road, there is no real centre to the village, but this sign sits on the corner of what could have been a village green or just some common land. The nearby Westhorpe Hall was a former seat of the Dukes of Suffolk.